Here’s another little guy I made back in December for a secret gift exchange. 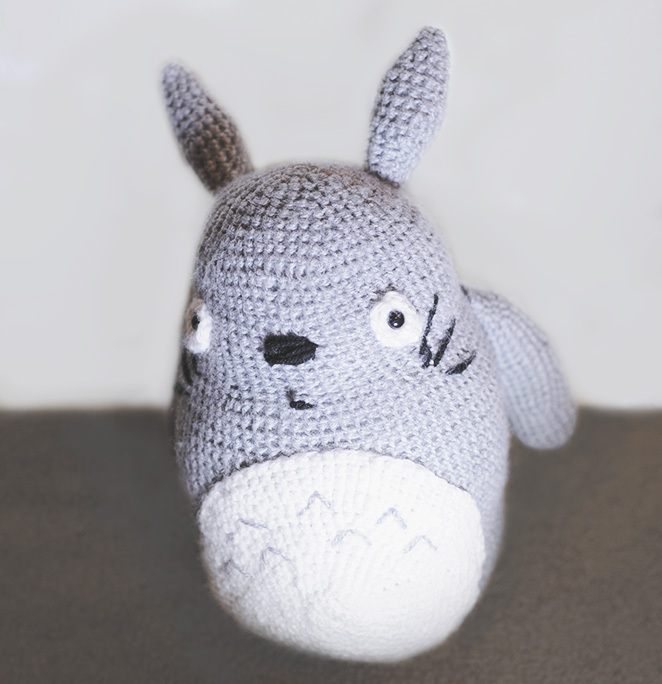 I wanted to make something fun for my giftee, Elissa, and thought she might like a little Totoro. While I’d only done a little bit of crocheting before (actually, this bow headband was my only completed crochet project), I’ve always wanted to make some amigurumi creatures. I was pretty amped to try out this Totoro pattern. It was a really satisfying project and didn’t take too terribly long to crochet. The hardest part was the tiny ears since I would constantly lose count of my stitches and they would come out uneven and I would have to start over completely. Once all the limbs were stuffed, my cat, Meeme, kept trying to steal the pieces so I had to crochet a tiny ball for her so she would leave me alone. 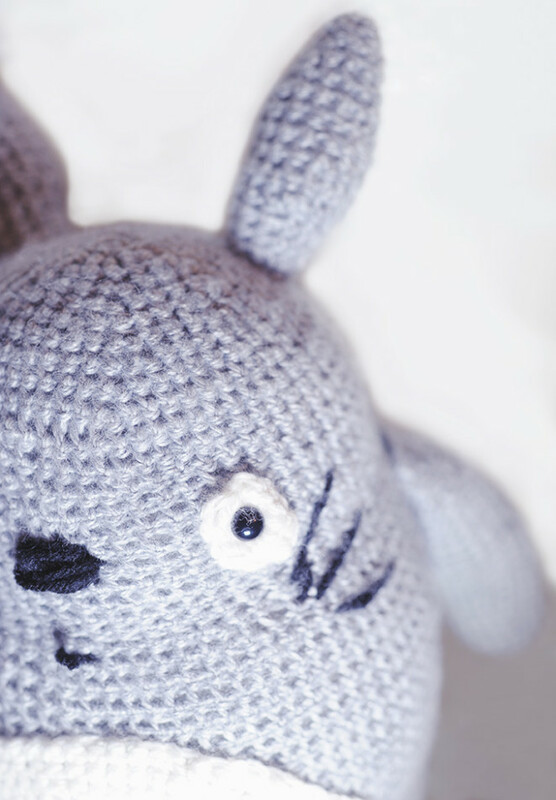 In the end he came out pretty cute and I sort of want to make the whole Totoro family. I love my Totoro!!! He looks even better in person 🙂 You’re the best! Oh my gosh, this is the cutest thing ever…and has inspired me to knit/crochet again! I have totally seen a sleeping-bag-pillow-bed thing that looks like Totoro! You need it.